The Genealogist and AncestryDNA are both companies that can allow you to discover more about yourself and your ancestry by utilizing your DNA and any available genealogical sources. Exploring your genetic roots and learning more about your family and distant relatives can be an exciting, life-altering experience, so we are here today to help you determine which of these two DNA testing providers better fits your needs, analyzing their available ancestry tests, average turnaround times, privacy and security policies, value for money, and more. The Genealogist basically acts as an affiliate for Family Tree DNA, which means it offers the DNA testing giant’s entire testing portfolio. This includes its signature Family Finder DNA Test, which explores 690,000 genetic markers and covers 22 worldwide regions. Your DNA is checked against the company’s database of about 500,000 DNA profiles. The company also offers Y-chromosome tests, which inspect 37, 67, 111 or 500 genetic markers. Mitochondrial sequencing is available through its mtFull Sequence Test. AncestryDNA test also analyzes your entire genome, which means it inspects all 23 pairs of chromosomes. The test explores more than 700,000 locations in your DNA and covers 350 worldwide regions. The company features a massive database with more than 7 million different profiles. 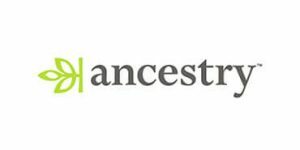 AncestryDNA yields test results in 6-8 weeks and the average turnaround time for The Genealogist is between 4 and 10 weeks. Both companies are quite adamant when it comes to the overall privacy and security of their users. They feature very strict privacy policies and make sure nobody gains access to your personal information without your explicit consent. They will never sell your sensitive info or share it with any third parties. The Genealogist offers the entire testing portfolio of Family Tree DNA, as we already mentioned. This includes its autosomal ancestry test called Family Finder (99.95£), as well as its Y-Test (Y-DNA37 – 124.95£; Y-DNA67 – 189.95£; Y-DNA111 – 259.95£) and mtFull Sequence (154.95£). You also have access to Family Tree DNA’s convenient bundles, which include Family Finder + mtDNA Full Sequence (229.95£), Family Finder + Y-DNA37 (189.95£), and Comprehensive Genome – Family Finder + Y-DNA67 + mtFull Sequence (429.95£). Although the prices are a bit higher than going directly through Family Tree DNA, The Genealogist also offers an abundance of genealogical data, which more than makes up for the price difference. AncestryDNA, on the other hand, offers its ancestry test at the price of 99.00$ and also covers your autosomal and gender chromosomes. The Genealogist offers a bit more flexibility, but AncestryDNA allows you to examine your entire ancestry with one simple test, so it all comes down to your personal needs and preferences. Both companies provide excellent value for the price, but AncestryDNA offers much more genealogical sources. If you’re only interested in genetic ancestry testing, we recommend going with The Genealogist since Family Treat DNA features a larger database, but if you want to explore the genealogical side of the story, AncestryDNA is a pretty clear-cut choice. The Genealogist represents a noble effort to combine genetic testing and genealogy and offers pretty remarkable services backed up by Family Tree DNA’s impressive range of tests and convenient testing bundles. Having said that, it still has a long way to go before it can compete with the likes of AncestryDNA. AncestryDNA is an integral part of the largest genealogical enterprise in the world and can currently be challenged only by MyHeritage. Admittedly, the company’s efforts at genetic testing might still require some additional polish, but its genealogical database is without a match at this point.